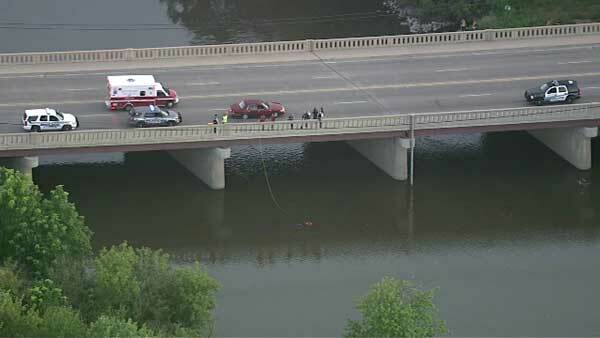 A man was rescued from the Des Plaines River at Ogden Road in west suburban Lyons. LYONS, Ill. (WLS) -- A man was rescued from the Des Plaines River at Ogden Road in west suburban Lyons. Police threw down a life preserver when they arrived on the bridge Wednesday morning, but the man didn't appear to take it. He continued treading water. They pulled him from the water into a boat just after 6 a.m. Wednesday. They said he appeared to be OK and was evaluated at a nearby hospital. Police are looking into why he was in the water in the first place.